Alexander 'Bokhara' Burnes became a celebrity in Europe after the publication of his three-volume book Travels into Bokhara: A Voyage up the Indus to Lahore and a Journey to Cabool, Tartary and Persia in1835. Eland Books, which specializes in keeping the classics of travel literature in print, has just published a new edition of his work. Kathleen Hopkirk has brilliantly edited Burne's work from three volumes to one very readable book. Ms. Hopkirk is well suited to the task: she is the author of A Traveller's Companion to Central Asia, and is the wife of the journalist Peter Hopkirk. His work The Great Game: The Struggle for Empire in Central Asia, is a must-read for travellers to the region. From 1829 onward the British considered it a matter of urgent, national importance to extend their influence into Central Asia before the Russians arrived. They also feared that their hold on India would be jeopardized if Russia were dominant in the region and militarily present in or near Afghanistan. To protect their interests, they sent young Lieutenant Alexander Burnes by way of Kabul to Bukhara in 1831-32, for which he became famous as an explorer and political agent and earned the nickname 'Bokhara' Burnes. Burnes was a gifted linguist, fluent in Persian and Urdu, and he spoke enough Punjabi to get by disguised as a merchant, negotiating his way past bandits on the road into the Hindu Kush and in negotiating entrance into Bukhara, the sacred city of Islam. By all accounts, Burnes was charming, clever, egoistic and quite a ladies' man. 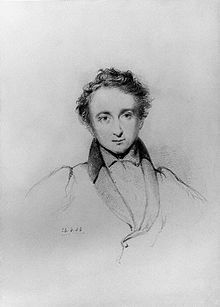 On the British restoration of Shah Shuja in Kabul in 1839, (an action that led the way to the First Afghan War,) Burnes became the regular political agent in Kabul. On the morning of 2 November 1941, during an insurrection, he was cut to pieces in the garden of his house in Kabul, within sight of the garrison cantonments. As an interesting aside, Burnes appears in George MacDonald Fraser's first Flashman novel. (Flashman becomes a hero because he is one of only two survivors - in fact there was only one - of the horrific retreat from Kabul in 1842. This is the event that launches Flashman on his fictional career of cowardice in every available trouble spot in 19th century military history). Eland Books was started in 1982 to revive great travel books that had fallen out of print. Its catalogue alone triggers dreams of other places and other times. Its paperbacks are printed on fine, cream paper and sturdily bound. 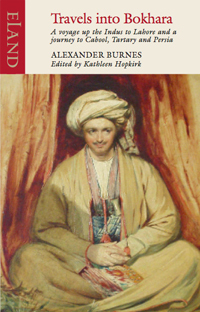 The launch for this book was held at 50 Albemarle Street, London, home to John Murray publishers since 1768, and in the very room where Burnes plotted his journeys into Central Asia.